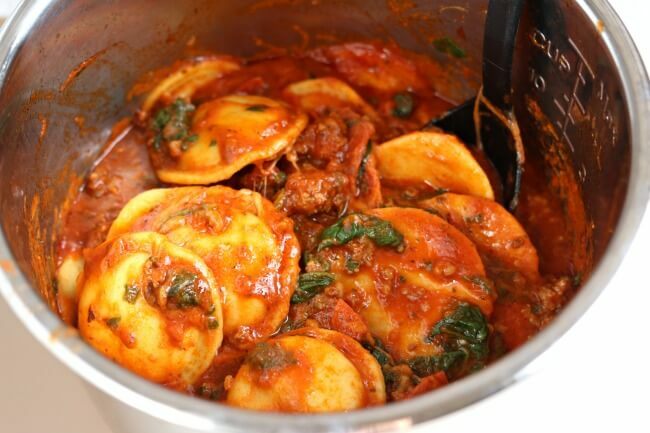 Instant Pot Sausage Pepperoni Spinach Ravioli–ravioli is cooked in a marinara sauce with Italian sausage, pepperoni, mozzarella cheese and spinach for a super fast and easy one pot meal. My kids love stuff like this. Lucky for me, it is super easy to make. 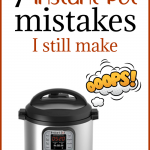 And now with the Instant Pot it’s even easier. You brown the sausage in the pot, add in broth, raviolis and sauce and pressure cook for just 1 minute. If I’m not home it switches over to warm and will stay good until we’re ready to eat dinner. 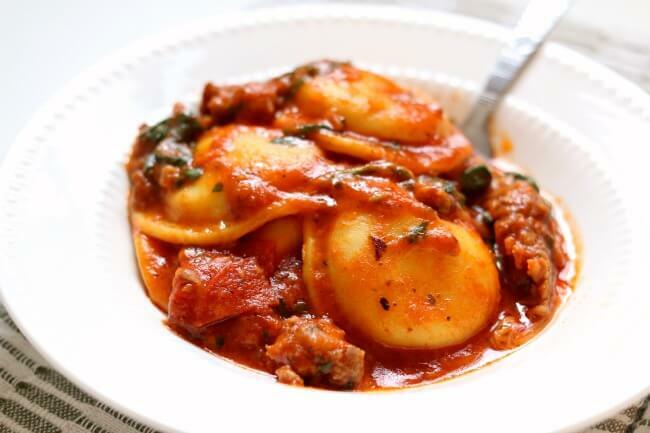 Add the ingredients for instant pot sausage pepperoni spinach ravioli to your shopping list this week! Beef broth: I didn’t have any beef broth at my house so I used 1 cup of water and 1 tsp of Better than Bouillon* Beef Broth. 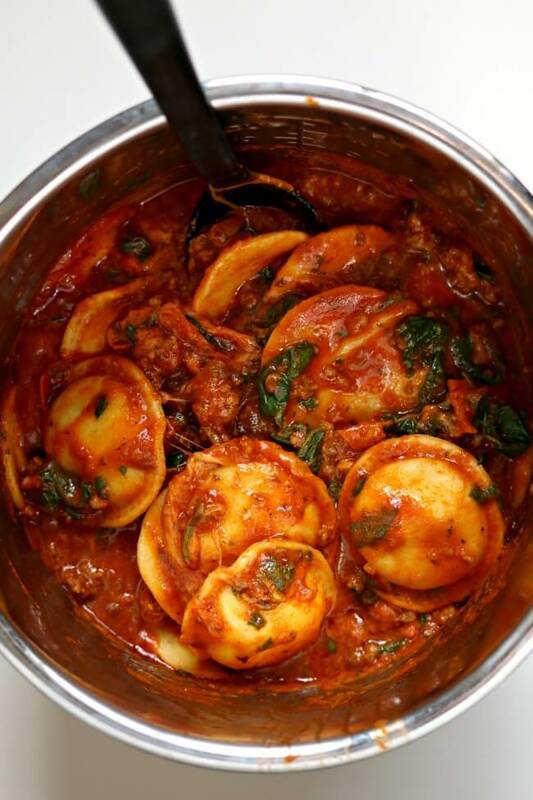 For Instant Pot Sausage Pepperoni Spinach Ravioli I used my 6 quart Instant Pot Duo 60 7 in 1*. I also own the 6 quart Instant Pot IP-LUX60 V3 Programmable Electric Pressure Cooker. * They are both great pressure cookers! But I recommend the Duo. It has a yogurt making function but other than that they are fairly similar. The price difference between the two is about $20. 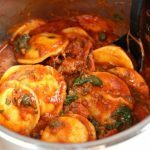 Ravioli is cooked in a marinara sauce with Italian sausage, pepperoni, mozzarella cheese and spinach for a super fast and easy one pot meal. 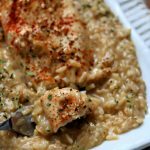 Turn your Instant Pot to the saute function. When it is heated up add in the sausage. Brown the sausage in the pot. Deglaze the pot with the beef broth. Lay the ravioli on top of the sausage and broth. Pour the marinara sauce over the top of the ravioli. Don’t stir. Add in the pepperonis on top of the sauce. Cover the pot and secure the lid. Make sure valve is on “sealing.” Press the manual button or pressure cook button and set the timer to 1 minute. When the timer beeps indicating the time is up perform a quick release by moving the valve to “venting.” If any foam comes out move the valve back to sealing and wait 20 seconds before trying again. Remove the lid when you can. Stir in the mozzarella cheese and the spinach. When spinach cooks down a bit (it will literally take one minute) then serve the ravioli. Enjoy! Followed the recipe to the T in my Instant Pot, doubled for my family of 6, and it turned out perfectly. 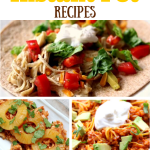 Can’t wait to try it again and its definitely on the top of our list for favorites. If I use fresh spinach, do I still add at the end or put it before and allow to pressure cook one minute? I’d add it at the end. It wilts and cooks very quickly in the hot food. i am trying to cook spinach/kale ravioli from costco. but instead of marinara sauce i just want to coat with a pesto sauce – also from costco. 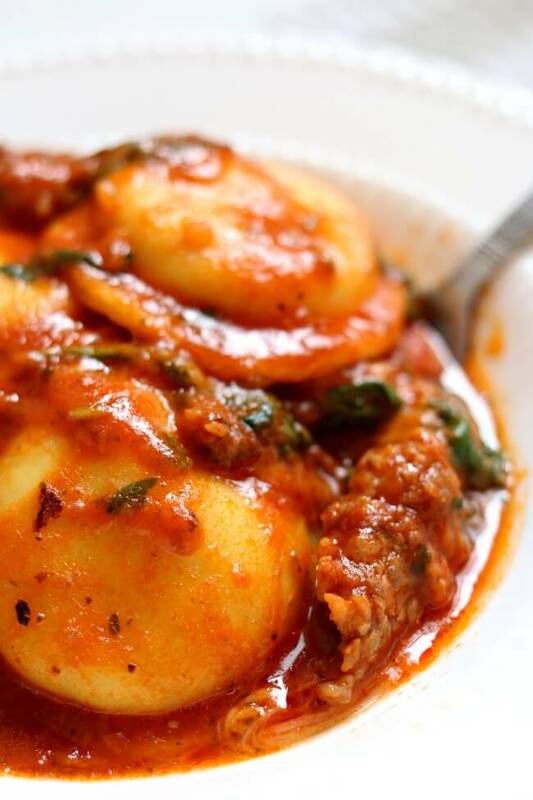 do you know how i can just cook the frozen spinach/kale ravioli in the instant pot without the marinara sauce? how much water should i use? 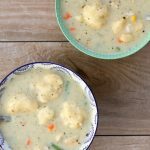 how long should i cook it in the instant pot for? You might be better off just cooking according to the package directions on the stove top. Then draining the water and stirring in the pesto sauce. It sounds very tasty! Oh my — so good!! I did make a few changes. I used 1.5lb of frozen meatballs in place of the ground beef and I added a couple sliced zucchini and 10 quartered mushrooms on top of the raviolis before adding the sauce. Oh my, incredible!! 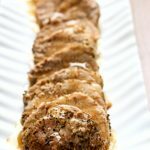 Instead of sausage could ground beef be used? I am wondering if ground beef is too heavy, even the low fat kind… would it sink to the bottom of the pot and burn? 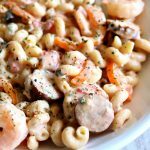 Being big Italian food eaters this recipe really intrigues me! you could totally do that! I think it would work fine. I found some vegan frozen Ravioli, and vegan sauce and it was good, this is my first time cooking pasta in an electric pressure cooker. Ravioli comes out perfect every time. We try a different sauce each time we make it. Makes it fun! Excellent … worked perfectly in the IP and tasted great! When you used frozen ravioli, did you still only cook for 1 min?